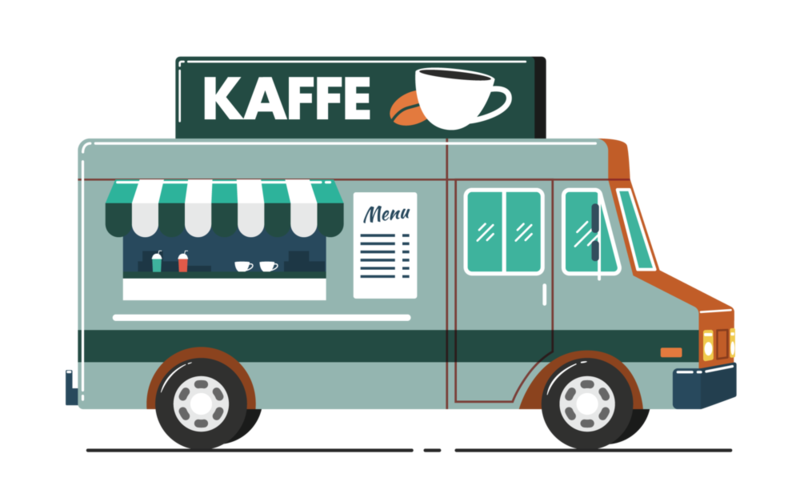 We rent our little smart coffee car with accompanying barista to all kind of events in a radius of 15 kilometers from city hall square (Rådhuspladsen). Write to us and get an offer at wogk@wogk.dk. Coffee-car at 3 hours (minimum), Barista, ecological milk (incl. plantmilk) and coffee/the and chai. Total: 100 cops of coffee. The car can maximum produce 40 cops pr. Hour.